“On the very first morning, when [Miss McKinney] called the roll, she took exception to my name. She said there was no such name as Berenstain. The name, as everyone knew, was Bernstein—and that was what my name would be, at least in her room. When I raised my hand and protested that Berenstain had always been my name, she silenced me with an icy stare and said she didn’t approve of people who changed their names” (26). 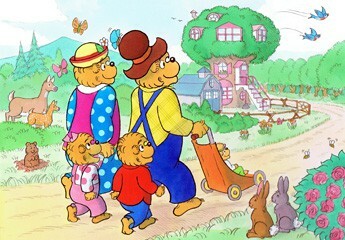 “Berenstain,” it seems, is less common than other, similar variants. But there’s a simple explanation. 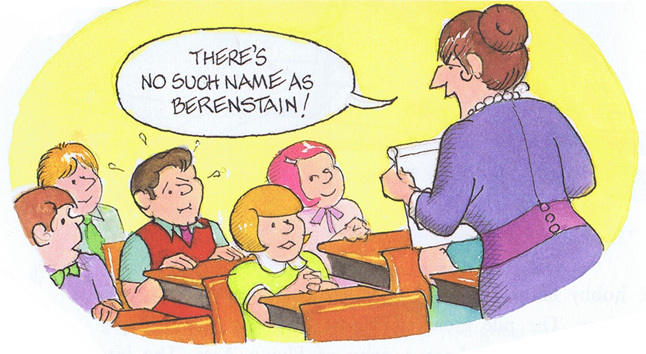 According to family lore, the spelling results from an immigration officer’s attempt to record phonetically an accented version of the traditional Jewish name “Bernstein” as pronounced by Stan Berenstain’s grandfather. He had come to America from Ukraine, where the name would have sounded something like “Ber’nsheytn.” Since then, the family has always spelled it Berenstain, as it was originally documented. When Stan and Jan Berenstain decided to look for a an agent to assist them in getting their first children’s book published, they chose Sterling Lord, who was recommended to them by a number of different editors. Lord is perhaps most famous for jump-starting the career of one of America’s most iconic trouble-making writers: Jack Kerouac. 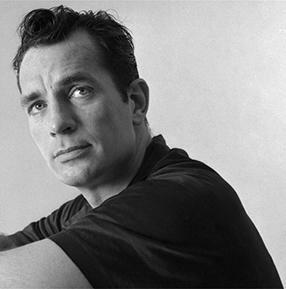 As Vanity Fair‘s John Heilpern wrote in a 2013 profile of Lord, “Without [this] literary agent and gentleman of the old school…chances are we would never have heard of the mythic Kerouac.” Kerouac’s signature, jazz-influenced style—something he referred to as “spontaneous bop prosody”—represented a radical break with literary tradition, and not many agents were willing to take a chance on this young rebel. Lord did, getting On the Road published in 1957, and the rest is history. Other notable writers represented by his agency include Ken Kesey, Howard Fast, John Irving, and, of course, the Berenstains! In 1943, Jan Berenstain–then Janice Grant–took a year off from the Philadelphia Museum School of Industrial Art to contribute to the United States’ war efforts. 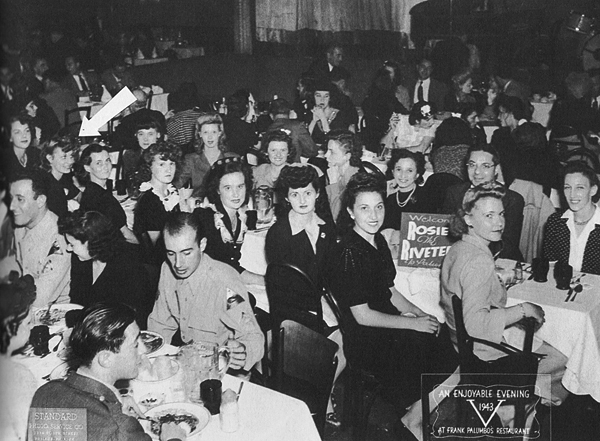 After completing a two-week training at the Bok Vocational School in South Philadelphia, Jan began working as an aircraft riveter at Brill’s trolley car factory, which had a Navy contract to assemble center wing sections for PBY flying boats. But wing assembly wasn’t the only example of Jan’s metalworking during the war. When she and Stan married in 1946, they wore wedding rings she herself had fashioned out of airplane aluminum.